Free Books for First Friday tomorrow! Purchased a long box of comics, a stack of DVDs, and two other collections of books. Born on this day: 1970 – Daniel Handler, 1959 – Megan McDonald. Shelved some sets, DVD's Robin Hood & Zorro, Books: Encyclopedia of World Art, and Durant's History. Managed to get the pile of boxes in front of the counter down to a reasonable size. Born on this day: 1902 – John Steinbeck, 1912 – Lawrence Durrell, 1913 – Irwin Shaw, 1944 – Ken Grimwood. Born on this day: 1949 – Elizabeth George, 1802 – Victor Hugo, 1918 – Theodore Sturgeon, 1948 – Sharyn McCrumb. Cleared the boxes out of aisle 3, the Mystery, Westerns & Horror are now easily accessible once again. Shelved 11 boxes of pocketbooks, boxes of every genre. Born on this day: 1908 – Frank G. Slaughter, 1917 – Anthony Burgess, 1942 – John Saul. Born on this day: 1909 – August Derleth. Fair (2 of 10). Full Leather. 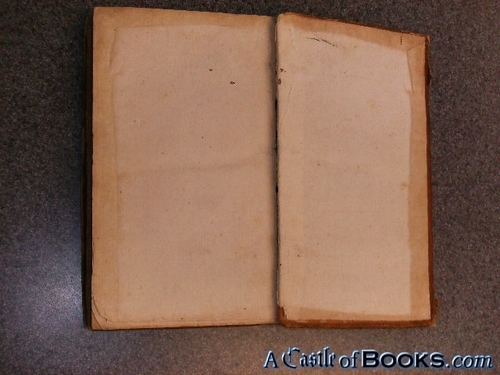 There is rub-through to the edges and corners. 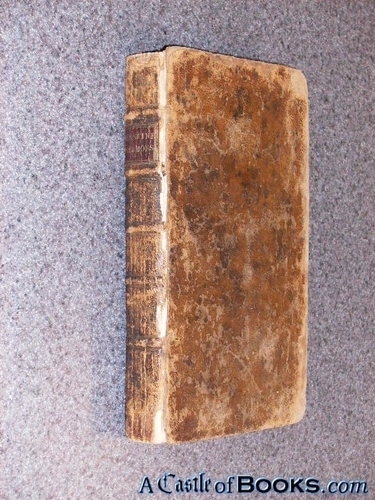 Five raised bands on spine. 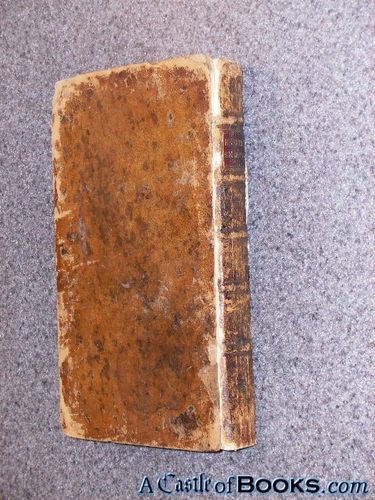 Leather pasted-on title on spine. 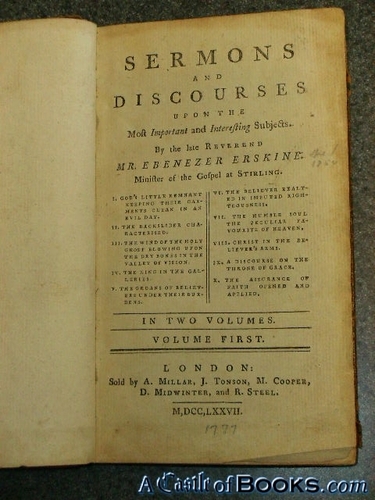 Original binding. 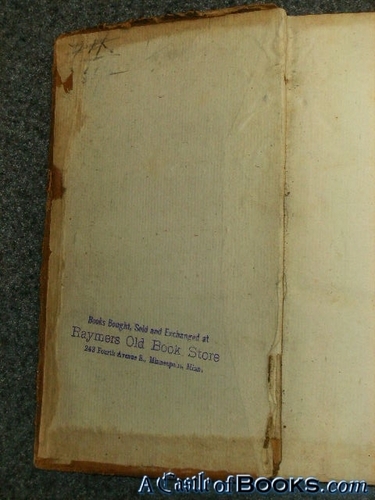 There is a store stamp on the inside cover from a previous seller. Front and rear hinges broken, covers still attached by the bands. No foxing. text block firm. Bagged for protection. See images. 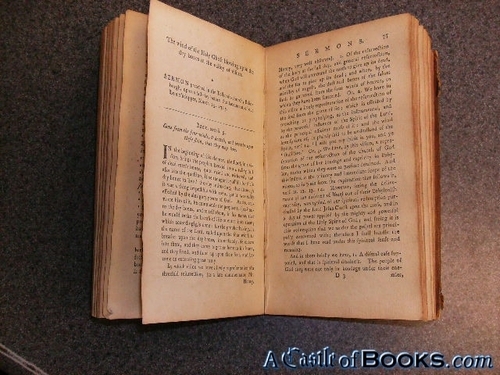 Contents - "God's Little Remnant Keeping Their Garments Clean in an Evil Day", "The Backslider Characterised", "The Wind of the Holy Ghost Blowing Upon the Dry Bones in the Valley of Vision", "The King in the Galleries", "The Groans of Believers Under Their Burdens", "The Believer Exalted in Imputed Righteousness", "The Humble Soul the Peculiar Favourite of Heaven", "Christ in the Believer's Arms", "A Discourse on the Throne of Grace", "The Assurance of Faith Opened and Applied". Shelved several boxes of books, there are now piles of Civil War, and WW2, and other Military books available. Sorted around a dozen boxes, and cleared much of the front area. Born on this day: 1944 – John Sandford, 1944 – Bernard Cornwell, 1948 – Doug Moench. More books out on the $1.00 boxes, more like the $1.00 pile of books at the moment. Shelved about five boxes of hardcover/tpb books, all subjects, lots of non-fiction. Born on this day: 1857 – Robert Baden-Powell, 1864 – Jules Renard, 1900 – Seán Ó Faoláin, 1937 – Joanna Russ, 1947 – Richard North Patterson. Purchased a few loads of books. Born on this day: 1952 – Jeffrey Shaara, 1962 – Chuck Palahniuk, 1962 – David Foster Wallace. Six boxes donation sorted and mostly processed. Sorted two more boxes from piles in front. Shelved around four boxes of hardcover books, lots of 1st fiction, BC SF/F, and military non-fiction. Born on this day: 1912 – Pierre Boulle, 1926 – Richard Matheson. Tomlinson, Carol Ann; Kaplan, Sandra N.; Renzulli, Joseph S.; Purcell, Jeanne H.; Leppien, Jann H.; Burns, Deborah E.
Purchased 3 smaller loads of books. Born on this day: 1917 – Carson McCullers, 1952 – Amy Tan, 1949 – William Messner-Loebs, 1963 – Laurell K. Hamilton, 1964 – Jonathan Lethem. Shelved several boxes of mostly non-fiction hardcover & large softcover books. Sorted several more boxes from the piles in front of the counter. Born on this day: 1883 – Nikos Kazantzakis, 1929 – Len Deighton, 1957 – George Pelecanos, 1909 – Wallace Stegner, 1931 – Toni Morrison, 1935 – Janette Oke, 1936 – Jean Auel. Well, that 'L' on the register meant the batteries were getting low (not that remembered there _were_ batteries) and they went out this morning erasing all the settings.... !@!@!! So spent half the day figuring out what happened and fixing that. Now there's a new logo and the tax is correct, and a few settings are adjusted. Shelved some DVD tv shows, and comics purchased yesterday. Shelved (or at least stacked on the floor in front of the section, because there was no room on the shelf) quite a few books on the Civil War. Born on this day: 1944 – Richard Ford, 1954 – Iain Banks, 1883 – Elizabeth Craig, 1968 – Warren Ellis. Sorted several more boxes from the giant pile. Shelved on display some vintage boxing/wrestling magazines. Sorted a few boxes for wholesale. Wasted quite some time going through boxes of Manga that she didn't really want to sell after all. Sorted a few boxes from the giant load yesterday. Born on this day: 1953 – Odds Bodkin. Dimitry, Donald and Mott, Thomas Jr.